Thirty years since its last refurbishment, the city called upon the parks previous designer and Tasmanian native, David Shaw from Street & Garden to take on its most recent update. Tapping in to the state’s abundant resources, materials and talent for the project, Hydrowood Celery Top Pine was selectively chosen as a featured material. 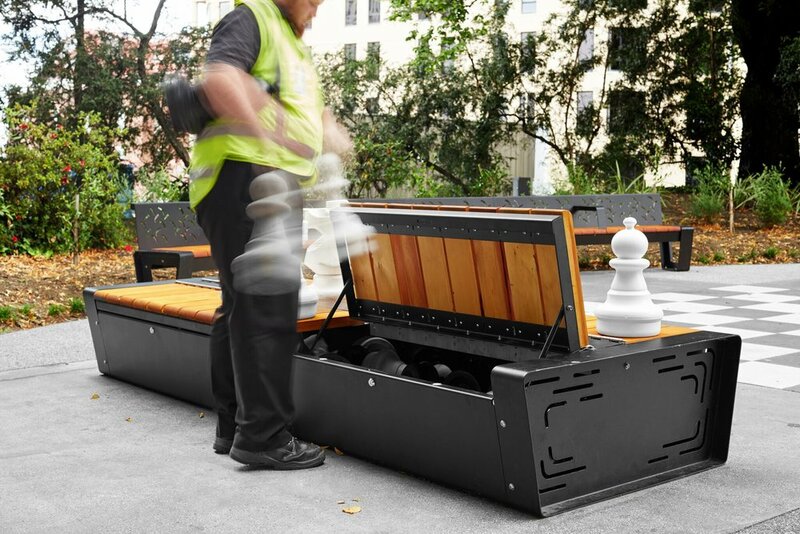 A range of updates including new pavements and pathways, garden beds, lighting features and commissioned furniture from Street & Garden, were included in Franklin Square’s complete revamp. Subtle details making a nod to the park’s former glory, such as the water fountain and beloved life-size chess, were kept in the redevelopment. 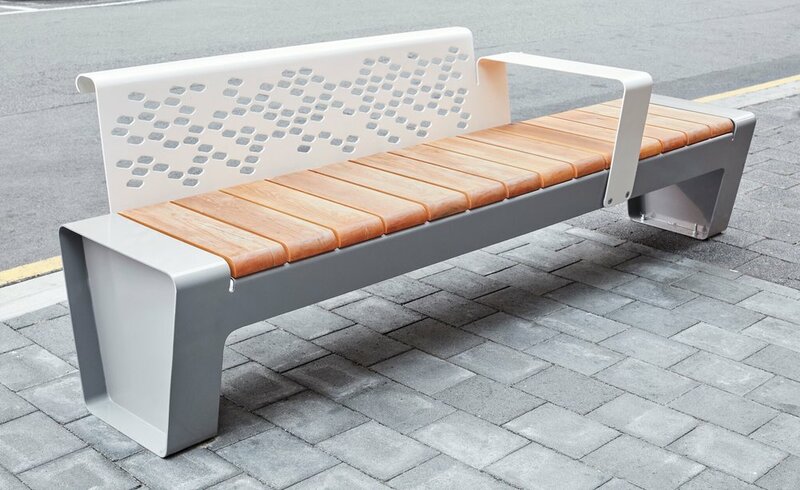 David and his team designed a series of twelve-meter long curved benches as well as separate benches with a special storage element to hold the chess pieces, from Hydrowood Celery Top Pine. Like other elements in the Square, Hydrowood Celery Top Pine also makes a nod to the past. It is reclaimed timber that once rested at the bottom of Lake Pieman, a hydro dam, before being innovatively harvested and dried and put to use in Franklin Square for all Tasmanian’s and visitors to enjoy. 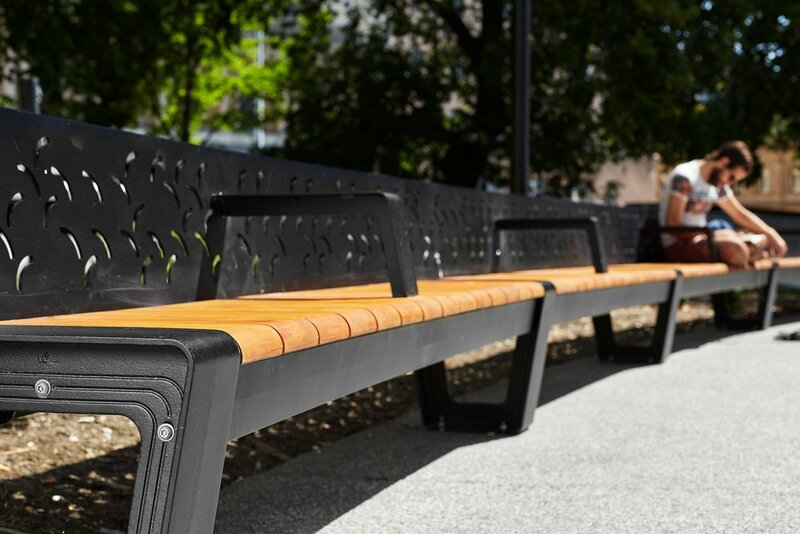 “The design found across the backs of the benches in Franklin Square casts a beautiful splash-like pattern across the celery-top pine when the sun shines through. “The timber is really brought to life when the pattern dances across it and it brings a playful element to the project,” said David. 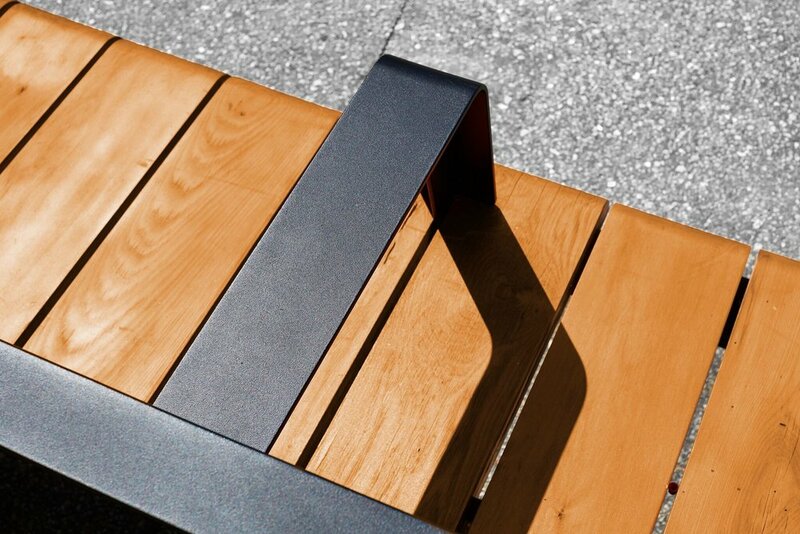 Celery Top Pine is valued for its durability, making it a great choice for external use. It has been a favourite with boat builders for generations. The wood is creamy white when freshly cut and darkens to a mellow rosy gold hue over time and with exposure to sunlight. The wood is light and easy to work with but is also hard, dense and strong, making it an ideal choice for furniture. The Franklin Square project, along with the Hobart Waterfront redevelopment that Street & Garden were also a part of, has been well received by the public and the design industry, landing the design firm a Good Design Award Gold Winner 2018 prize. “As a young Tasmanian designer, some of my first exhibitions were here and I received so much support from the community.